The North Sea has acted as both physical barrier, separating regions from each other, and as the principal means of communication between the same. This duality can also be seen in its potential to be both yielding and destructive; providing food and resources, but also being capable of causing catastrophe. These paradoxical qualities are unlikely to have been lost on our hunter-gatherer ancestors, and they remain relevent to the way that the sea is perceived today. 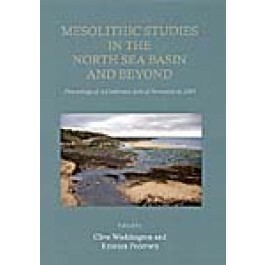 The sixteen papers in this edited volume look at the impact the North Sea had on Northern Europe in the Mesolithic period.